We develop image processing and analysis algorithms that are tightly integrated with well established and emerging biological imaging modalities. The latter include fast confocal, widefield, and two-photon microscopy and optical coherence tomography. Our research focuses on novel image reconstruction techniques that yield dynamic volumetric data (3D+time), noise reduction algorithms that preserve temporal and spatial resolution, or separation of multiple sources. We also focus on automatic image analysis procedures for cell motion tracking, flow estimation, and characterization of physiological parameters. S.K. Bhat, I.V. Larina, K. Larin, M. E. Dickinson, M. Liebling, "Multiple Cardiac Cycle Noise Reduction in Dynamic Optical Coherence Tomography of the Embryonic Heart and Vasculature," Optics Letters, vol. 34, iss. 23, pp. 3704-3706, December 2009. M. Liebling, H. Ranganathan, "Wavelet Domain Mutual Information Synchronization of Multi-Modal Cardiac Microscopy Image Sequences," invited paper, Proceedings of the SPIE Conference Optics & Photonics, Wavelets XIII, San Diego CA, USA, August 2-4, 2009, vol. 7446, 744602, 6 pages, doi: 10.1117/12.826519. S.K. Bhat, M. Liebling, "Cardiac Tissue and Erythrocyte Separation in Bright-Field Microscopy Images of the Embryonic Zebrafish Heart for Motion Estimation," in Proceedings of the sixth IEEE International Symposium on Biomedical Imaging: Nano to Macro (ISBI'09), Boston, USA June 28-July 1, pp.746-749, 2009. M. Liebling, A. S. Forouhar, M. Gharib, S. E. Fraser, M. E. Dickinson, "Four-Dimensional Cardiac Imaging in Living Embryos via Postacquisition Synchronization of Nongated Slice Sequences," Journal of Biomedical Optics, vol. 10, no. 5, eid 054001, 10 pages, 2005. 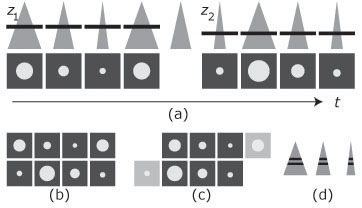 M. Dickinson, A. Farouhar, S. E. Fraser, M. Gharib, and M. Liebling, "Four-dimensional imaging of periodically moving objects via post-acquisition synchronization of nongated slice-sequences," U.S. Patent No. 7,372,984, May 13, 2008.